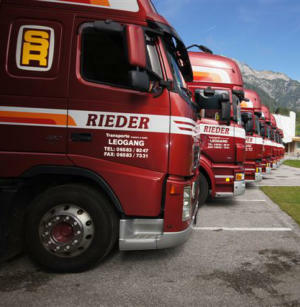 is your partner for transports of tiles and marbles from the area of Modena and Verona in the area of Mannheim and Frankfurt. is your specialist for bulk freight to 85 m³ - we can load: cereals - rice - brewery products - refractory clay - bauxite - stones - minerals as well as any kind of granulates. can transport all kind of goods on one-way or euro-pallets. 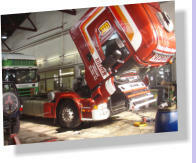 Our own garage-team makes all works of service and repair. To clean our trucks we have an automatic washing station. Also we have an own petrol station with diesel and adblue.